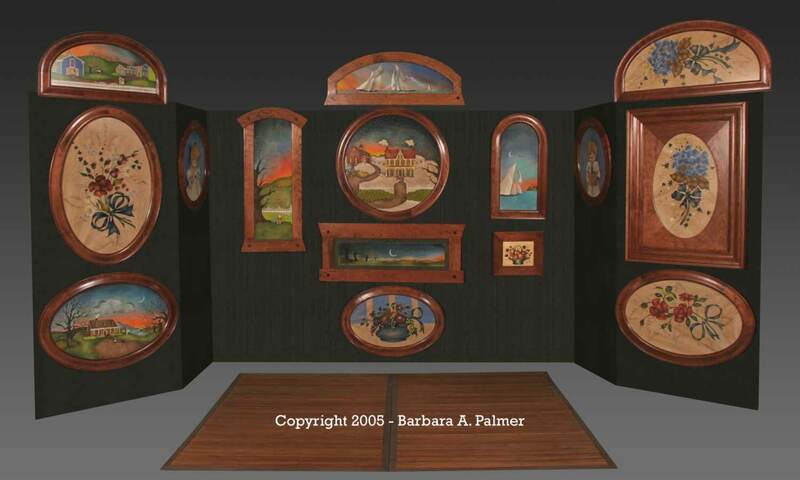 Below is Barbara's booth that you will see if you visit her at a show. Please contact her if you have an interest in purchasing any of her work. 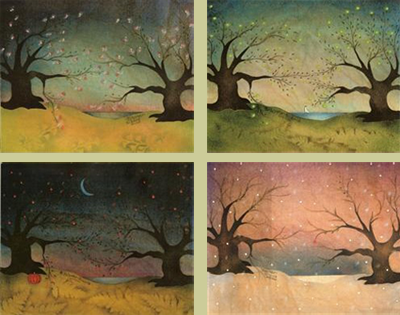 Barb has created limited edition "Seasons" prints in 8x10 size. Choose your favorite season or collect all four! corresponding envelopes. Choose your favorite or collect all six! Theorem painting is Chinese in origin. The English called it "Poonah Painting" or "India Tint Work." Its popularity spread from England to New England in the early 1800s where it flourished. Young ladies attending seminaries were taught decorative art such as watercolor, fine needlework, tole painting, reverse glass painting and theorem painting. 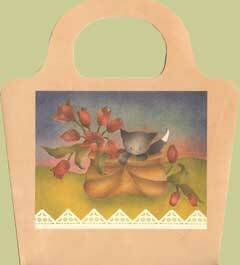 Theorem painting was achieved by using oil paint with multiple layers of stencils on cotton velveteen. 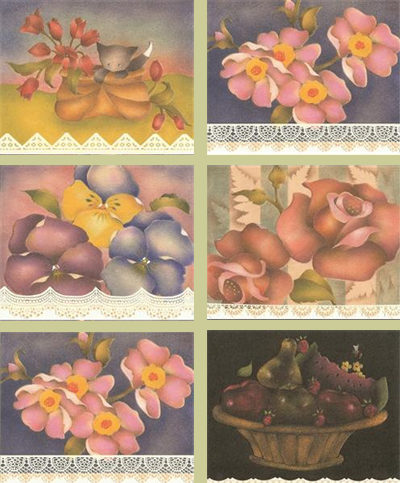 Artists created carefully composed still life's of flowers and fruits, which students copied. The designs were then passed on for generations and many are still in use. and are executed on hand dyed cotton velveteen. 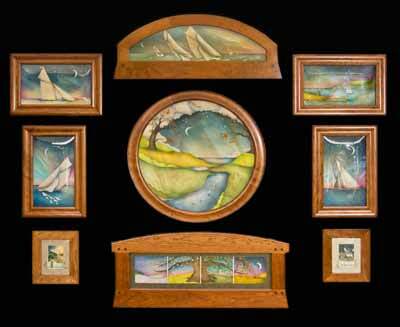 She designs her frame moldings, which are produced by her husband John, a fine woodworker. Barbara has also added reverse glass painting to give more dimension to most of her originals and some of her prints.